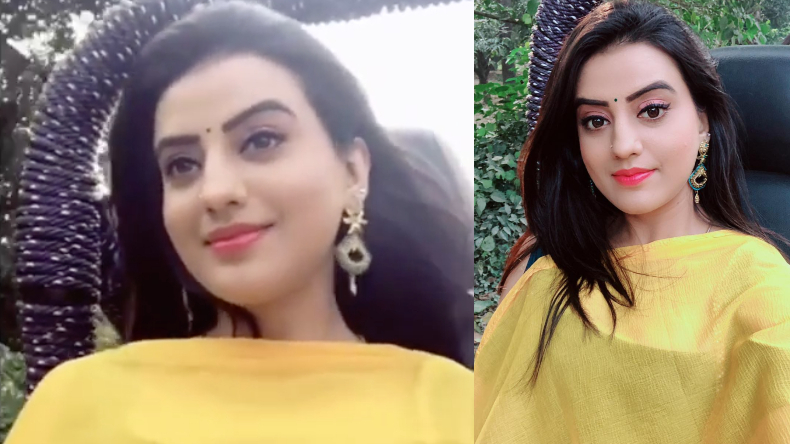 Known to rule hearts with her sensuous dance moves and sizzling expressions, Bhojpuri star Akshara Singh has shared a latest video in which she looks mesmerising. In the video shared by Akshara, the diva can be seen travelling in an open car while listening to Bollywood romantic song Chal Waha Jaatein Hai. Donning a bright yellow suit, Akshara looks stunning in the video. With her sensational dance moves and breathtaking persona, Bhojpuri diva Akshara Singh rules over million hearts and makes the audience go gaga over her whenever she appears on-screen. As she continues to surprise her fans on social media with her latest photos and videos, she has built herself a massive fan base making her no less than a social media sensation. On November 9, Friday, the diva took to her official Instagram account to post her latest video in which she looks mesmerising. In the video, Akshara can be seen travelling in an open roof car with the Bollywood romantic song ‘Chal Waha Jaatein Hain’ playing in the background. Donning a bright yellow suit with matching earrings, Akshara looks stunning in the video but it is her mesmerising expressions that are stealing the show. With this, Akshara also shared a selfie in the same outfit. Looking at the video, it is evident why the gorgeous lady is one of the most sought-after and talented actors of Bhojpuri cinema. Shared just a few hours ago, the photo has already garnered 23 K likes and the comment section has been flooded with compliments appreciating her stunning looks and beautiful expressions. On the professional front, Akshara Singh is currently shooting for the upcoming Majanua. In the film, the actor will star opposite Ritesh Pandey. With this, the diva was recently seen in the dance number Dhoka Deti Hai from the film Balam Ji Love You opposite Khesari Lal Yadav.